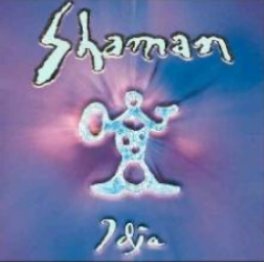 1) Shaman was the former name of the Brazilian Power Metal band, and is now called Shaaman due to copyright issues. Shaaman is a brazillian heavy / power metal band, formed on 2000 by three Angra ex-members - André Matos, Luis Mariutti and Ricardo Confessori. Some time later, Luis' brother Hugo Mariutti (guitars) joined the band, and completed the current formation. Shaaman recently split up due to 'musicial differences' (October 06). Following the split up, Ricardo Confessori constructed a new line up featuring guitarist Leo Mancini, vocalist Thiago Bianchi and bassist Fernando Quesada. 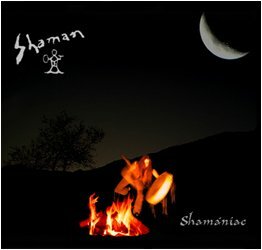 The name "Shaman" was then re-adopted, as per the band's new website. Work is currently underway on the new album "Immortal", which is to be released in 2007. 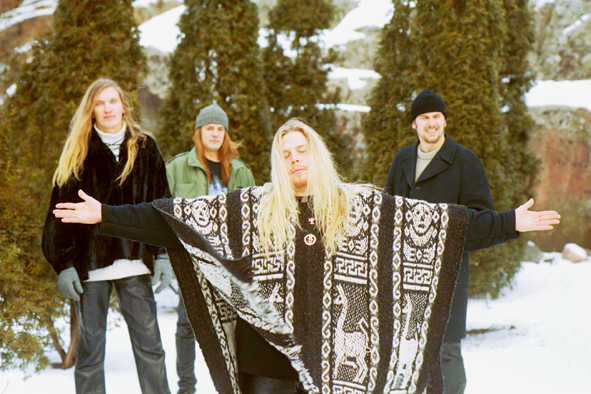 2) Shaman was the former name of the Finnish Folk Metal band called Korpiklaani. Shaman is heavy music with yoik singing, shaman drum and lyrics in Northern Samí language (an endangered Finno-Ugric language). For a person unknown to Samí music features it perhaps sounds like it has a bit of an indian sound, the chanting and the drums make it sound like native American music mixed with metal. When Shaman decided to turn in a different direction with their music, they decided to change their name to Korpiklaani (meaning forestclan) though you can still hear things reminding of Shaman. The song "Beer Beer" by Korpiklaani is just a revised version of Shaman's song "Vuola lavilla". 3) Shaman was a Folk group playing at Renaissance Fairs and Folk Festivals in the USA. 4) Shaman is Andreas Henning, a Progressive-Trance producer signed to Plusquam Records in Germany. His musical career started back in 1998 when a friend showed him the first steps in music production and he got hooked on it, fascinated to be able to create music of his own. Over the years, he made big steps forward, improving his production skills and finding his own style. Complex surface compositions, deep bass constructs, carefully used melody sequences and an overall hypnotic groove are the ingredients of his very unique sound. After being present on numerous compilations on recordlabels like Digital Structures, Plusquam, Manta, Novatekk, DOMO, Dance’n’Dust, Tribal Vision, the time was come for his first album "Foretaste" which was released on Plusquam Records in 2004. August 2006 saw the release of his second studio album "Grv Soldier."